The beginning of June my mom, Hunter, and I went to visit Omi and Opi (mom's parents) in Enterprise, Alabama! It was a spur of the moment trip. My mom found out Opi had 10 days off work which is very unusual since he is an ER doctor. Usually he plans vacations on his time off but this time he didn't. When my mom found that out she wanted to go visit them and luckily I was able to go as well. The last time I visited them I think I was in junior high or high school...so it has been awhile for sure! I honestly can't remember the last time I was there. We flew into Atlanta, Georgia as Enterprise doesn't have their own airport. They have a couple of small airports closer (one I think in Dothan) but the flights are very pricey. Atlanta is 3.5 hours away and luckily Opi drove all that way to get us. I cannot imagine having an airport be that far away! Denver is only 1 hour away from where we live now. On the way back to Enterprise we stopped in Auburn for some Chick-fil-a. 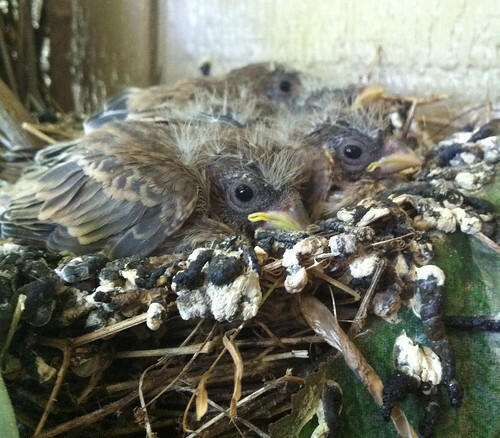 Then we got back to their home late at night and headed to bed! PS. 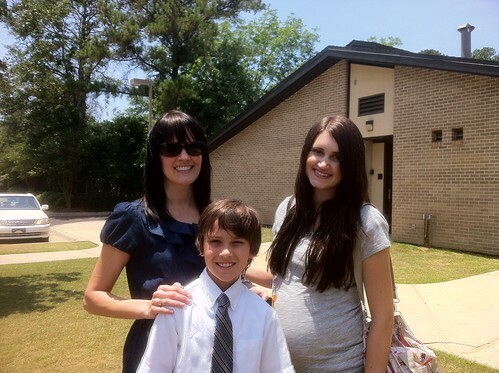 I was 27 weeks, 6 days pregnant here. I remember going to a pancake breakfast here (and outside) one time when I was little and we were visiting them! We spent the afternoon hanging out enjoying the Sabbath. Here is a pepper plant Opi is growing. They are kung pao (sp?) peppers! 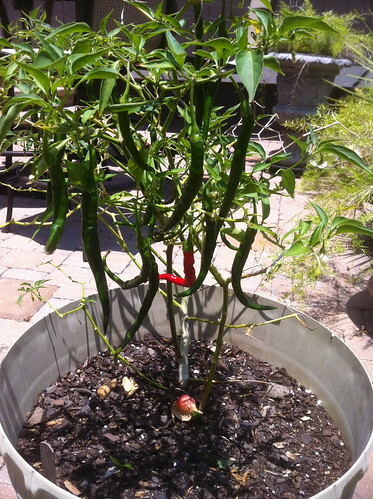 He is also growing ghost peppers that he gets from someone in China which are insanely hot. 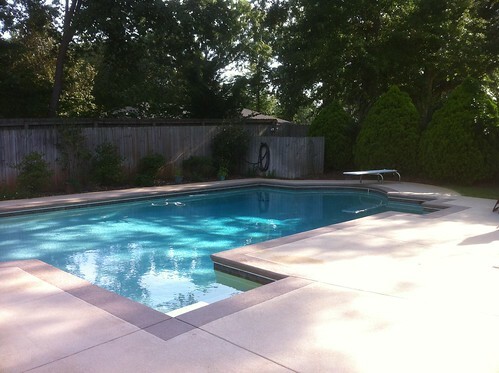 The last time I was here they had a tree-house, trampoline, and their pool was in a different location. 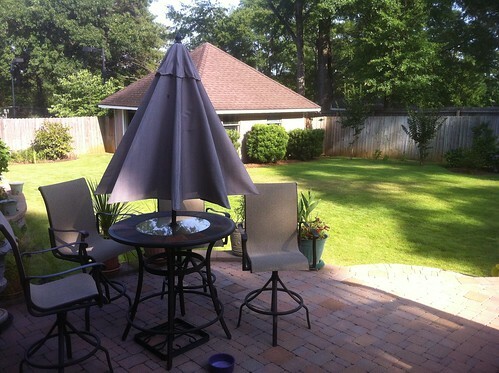 They redid their backyard and it looks awesome! Dinner included: dumplings, rouladin (sp? 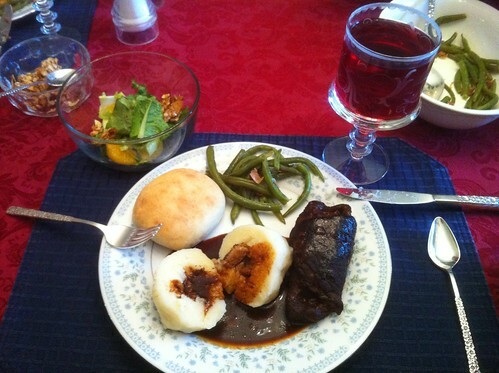 ), green beans, gravy, a roll, and a mandarin orange salad! She is an AMAZING cook! 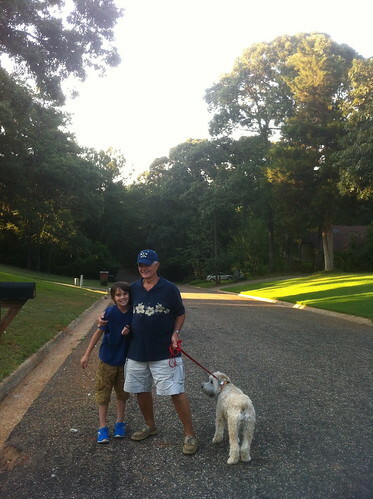 Then Opi, Hunter, and I went on a walk around their neighborhood. I remember doing that when I was younger and stomping on red ant hills lol. And lets just say she killed Omi's other dog before and has attacked multiple dogs (causing them to have to get stitches, etc...). Allie loves people but NOT dogs. She hasn't been walked in the neighborhood for a long time but Hunter wanted to take her. 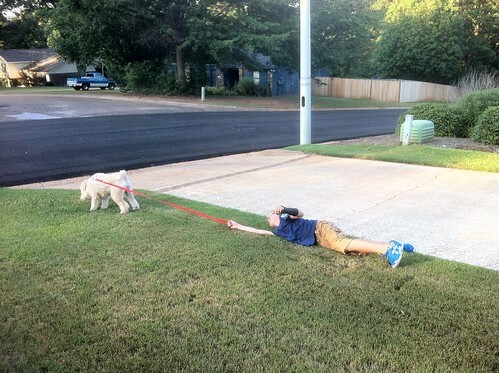 These next pictures are not a joke, Allie pulled Hunter down and dragged him on the grass! After Allie pulled Hunter down we decided he would not walk her since she is too strong, plus Hunter has a broken arm and is in a cast. So halfway in our walk, Hunter asks if he can walk Allie. So Opi lets him and then immediately she takes off and the leash is wrapped around Hunter's wrist. He follows and she pulls him down and drags him for a good bit on the neighbors yard. It looked painful! 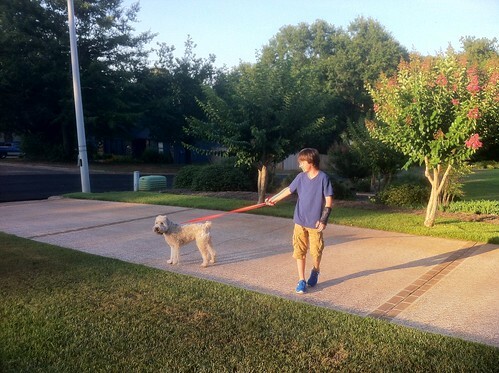 The leash unraveled from his wrist and she got lose. You could tell Hunter was in pain. I ran after him and asked if he was okay and then I heard Allie attacking another dog. Then Opi runs to someones backyard and pulls Allie off another dog. Meanwhile, a little boy goes running off into the woods crying hysterically since he thinks that his dog is going to die. Most people here have pools so a few guys jump out of the pool and ask if any kids got bit. I say "No, I just got here. I don't know what is going on." Then Opi takes Allie off and the other dog was okay but man it was crazy! It sure sounded vicious and I thought another dog was going to die. All in all, it could have been a lot worse but it sure wasn't good. So that is an interesting story for you! 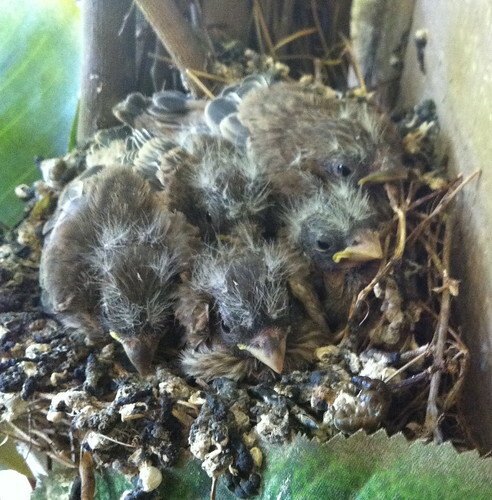 Check out these cute birds that had just hatched in a nest in my grandparents wreath! By the end of our visit they had all flown away! Then we had the most amazing desert. 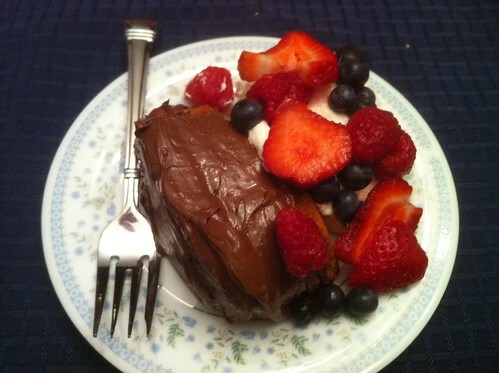 Nutella layered pound cake with cream and berries! Have you ever been to Alabama? What did you think? I love visiting family. There's a lovely sense of nostalgia that is almost overwhelming. ...and that Nutella pound cake looks AMAZING. That is one state I haven't ever been too! I would love to go, I love the south! I also love that you call them Oma and opi. So cute, my sons call my husbands parents that too! Homegrown Alabama girl here! And I miss it like crazy! Sure it has its downsides but the food is amazing, the views are beautiful, and the people are always friendly. Not to mention the sweet tea, Bama games, and fun Southern drawls. Can you tell I miss it? haha Glad you had a good trip! alabama is in my backyard! 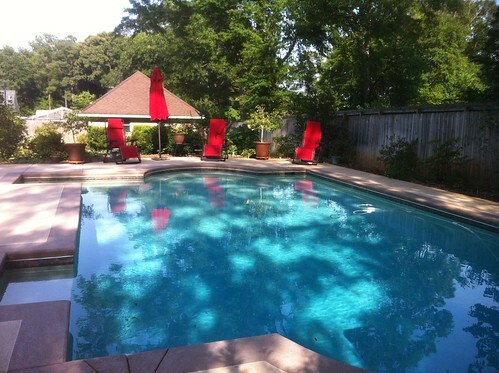 I'm sure having that pool was wonderful, you get awfully sweaty in this summer humidity. You and your belly look cuter with every post! Never been to Alabama, but awesome that your gramps is an ER doctor. 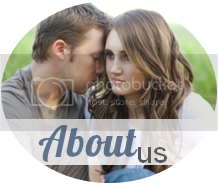 My husband would love to pick his brain...his ER rotation is next month!! And, you look fabulous for being 27 weeks along then! My parents had a Wheaten (we had to put her down last year, 3 weeks shy of 15), but man, she was nothing like that. No doubt that dog should most definitely not be walked and putting other dogs in danger!